“When you really understand that each color is changed by a changed environment, you eventually find that you have learned about life as well as about color." 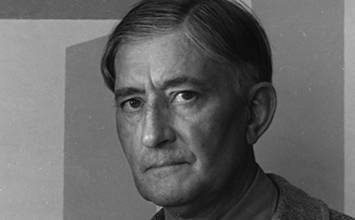 Josef Albers was instrumental in bringing the tenets of European modernism, particularly those associated with the Bauhaus, to America. His legacy as a teacher of artists, as well as his extensive theoretical work proposing that color, rather than form, is the primary medium of pictorial language, profoundly influenced the development of modern art in the United States during the 1950s and 1960s. Albers's 1963 book Interaction of Color provided the most comprehensive analysis of the function and perception of color to date and profoundly influenced art education and artistic practice, especially Color Field Painting and Minimalism, in the 20th century. His series Homage to the Square, produced from 1949 until his death, used a single geometric shape to systematically explore the vast range of visual effects that could be achieved through color and spatial relationships alone. Albers's art and theories were widely disseminated to generations of artists and art-school faculty through his teachings at the Bauhaus, Black Mountain College, and Yale University, and they provided the theoretical basis for the development of non-objective art during and after the age of Abstract Expressionism. 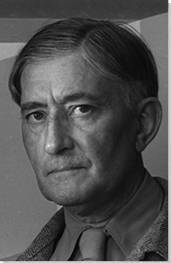 Josef Albers was born March 19, 1888, in Bottrop, Germany. From 1905 to 1908 he studied to become a teacher in Buren, teaching in Westphalian primary schools from 1908 to 1913. After attending the Konigliche Kunstschule in Berlin from 1913 to 1915, he was certified to teach art. Albers studied lithography in Essen and attended the Academy in Munich. In 1920 at the age of 32, Albers entered the Bauhaus, a school in Weimar that was committed to exploring the relationship between the arts and technological society and emphasized the integration of architecture, fine art, and craft. Interactive chart with Josef Albers's main influences, and the people and ideas that the artist influenced in turn. First published on 22 Apr 2015. Updated and modified regularly.